They key to a happy marriage isn’t by wishing that it was like that Romance novel you just read. Instead, it’s by embracing the small, everyday moments of life- or to put it more bluntly- the 10,000 average, mundane Wednesdays you’ll spend together in your lifetime. Good banter back and forth. Ease of conversation and a relatively similar sense of humor are key. Fun. You’ll want a partner who can make moments of stress more lighthearted and who genuinely makes you laugh. No one wants to spend the rest of their laugh fake-laughing. Respect for each other’s ideas and ways of thinking. If you don’t feel like your opinions or thoughts on certain topics are respected, you’re going to hold back information and omit from sharing. A great friend is excited to hear what you have to say and wants to know more. Common interests. This is the defense against those mundane Wednesdays. When life gets boring, you’ll want something that you can have a “meeting of the minds” on. Whether it’s theatre, museums, sports or hobbies, make sure you have something in common in order to combat the drudgery. A generally positive vibe. Sure, you’ll have your disagreements and feel frustrated at times. But overall, your relationship should be more positive than negative. According to research, there should be 5 positive interactions to 1 negative interaction. That means that the majority of the time should be harmonious. Trust. Secrets can erode a relationship and the constant agony of having to worry about hiding or sneaking around is exhausting, right? Who wants to do that for 50 years of marriage, anyway? On the other side of secrets is suspicion. A vibe that directly clashes with the feeling of “comfort and ease.” If you have things you’re hiding from your partner, it’s best to bring it out in the open in hopes of working through it. Acceptance. We’re all flawed to some degree. How much would it hurt to be criticized or shamed for who are you by the person who’s supposed to adore you the most? You can’t change those ingrained “ways of being” about your partner, so make sure you know how to be accepting of them. Good communication. Divorced couples who were polled about their failed relationships said that the one thing they would change about moving forward with someone else would be better communication. Communicating fairly and positively doesn’t come easy. 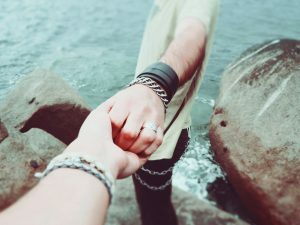 Oftentimes, couples need to have pre-planned ways of communicating when navigating through rough waters or need to seek couples counseling to learn how to communicate better. Feeling like equal partners. Couples who actively or passively try to assert their power as head of the relationship are headed for trouble. When the bad mood of one partner affects the dynamic of the relationship, or when one’s needs consistently prevail of another’s, there’s a problem. Feeling like you’re an equal casts a positive glow over the relationship as a whole. Fighting fair. Conflict is inevitable and happens in every relationship. Being able to fight fair distinguishes successful couples from unsuccessful ones. Flexibility and the ability to bend for your partner’s benefit in order to find compromise are effective at handling conflict. Couples who realize that most disagreements are perpetual-meaning they can never be solved- aren’t looking for change. They’re looking to better manage the moments of feeling “stuck” and frustrated instead.